Get ready for a new chapter of Breaking Bad, as the beloved TV series is reportedly set to return with its very own film. According to The Hollywood Reporter, sources have confirmed that creator Vince Gilligan is working on a two-hour Breaking Bad movie. However, at this point details are frustratingly thin. While no reps have confirmed the news of the film, rumours have been floating around that the Breaking Bad film is secretly filming under the name Greenbrier, which may be a working title or a fake name to throw us all off the scent. THR reports the so-called Greenbrier is headed into production in New Mexico this month, but at this point, the cast is unclear, so it's unknown if original Breaking Bad stars Bryan Cranston or Aaron Paul will return (or even Bob Odenkirk). It's also not even clear if the film will arrive theatrically or on the small screen. UPDATE (11/7, 3:30 p.m. EST): More details about the project have now surfaced, giving further evidence that the film is indeed going ahead. /Film reports Aaron Paul will be returning for the Breaking Bad movie to play Jesse Pinkman. The site also reports the film will serve as a sequel to the TV series' finale, and not some sort of prequel project. 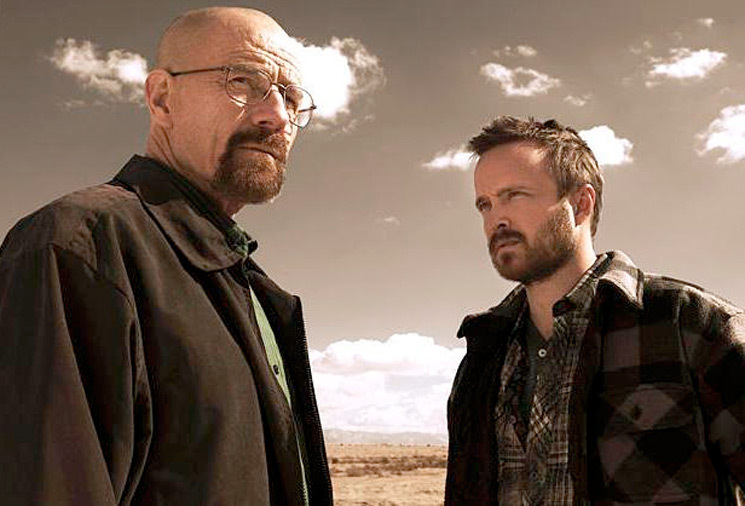 Walter White himself, Bryan Cranston also addressed the film rumours, telling The Dan Patrick Show, "Yes, there appears to be a movie version of Breaking Bad but I honestly haven't even read the script." He added, "If Vince Gilligan asked me to do it, then sure, absolutely... This idea, from what I'm told, gets into those, at least a couple of the characters that were not completed as far as their journey." But if you want to add even more to your evidence pile, Breaking Bad's old TV broadcaster AMC recently revealed it would be making a series of Walking Dead movies, so the idea of something similar happening to Breaking Bad doesn't sound crazy in the least. At this point, though, stay tuned.